Here follows a list of words you are likely to encounter in conversation with South Africans. Languages are freely mixed in South Africa; nothing is sacred. Afrikaans is South Africa’s own language, born of kitchen Dutch spoken in the colony’s early days. Arguably sexier than French, but not quite as correct as Her Majesty’s English, Afrikaans is abused daily all over South Africa as one of its many languages. It truly is a beautiful language, one that is alive and morphing all the time. 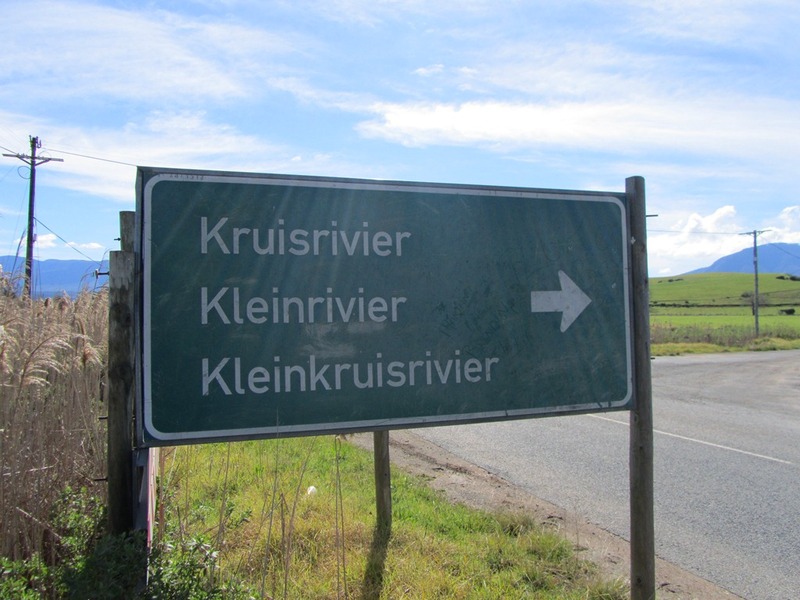 Not only is Afrikaans an extremely descriptive language, the Afrikaans speaking populace are incredibly skilled at creating new words on the fly by simply combing words at their pleasure. Also be especially careful of double negatives, and straight contradictions, like “ja-nee”. The results are very often absolutely hilarious. Much of this has crept into daily use even for English-speaking South Africans who have Anglicised many of the words and phrases for themselves: watch out for “now-now”, and “just now”. dagga cannabis an Afrikaans word derived from from Khoikhoi "dachab"
now-now nou nou translated literally from the Afrikaans phrase nou nou, don't expect anything to happen in a hurry at all!